For quite some time the Heishi bead style has dominated the American Southwest fashion industry. What makes this style so unique is the shape and material used to create this classic design. If you’re unfamiliar, Heishi beads are typically elongated cylindrical beads made from seashells or coral. This has been a facet of Native American art and jewelry for a long time and people are always stunned at the flowing beauty of these necklaces and earrings. Traditionally, Native Americans would use seashells to make these pieces, however, the style has adapted and evolved. To make things a bit more interesting, the incorporation of precious gems and other ocean material gave birth to a new and more flavorful design. 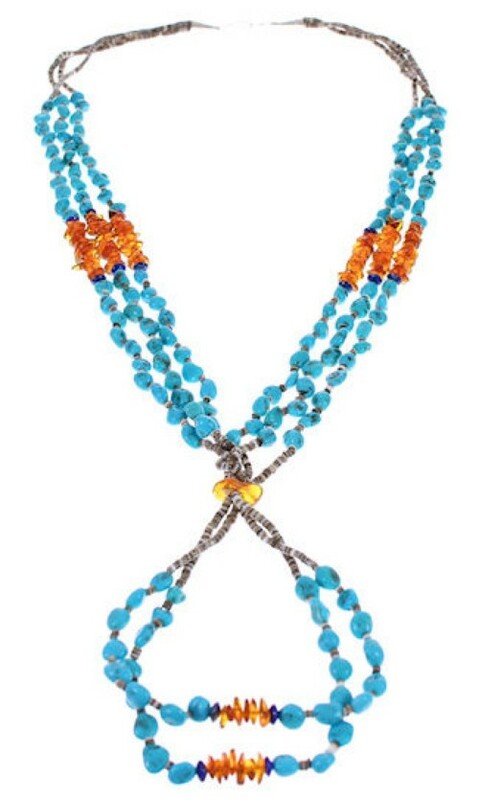 Today, we see Heishi beads made from coral and turquoise, which beautifully contrast in these jewelry pieces. I have been a fan for a while as well and wanted to take the time to show everyone how they can incorporate the style into their wardrobe with ease. Color- You might see a few different designs with Heishi bead necklaces but there are actually only a few colors that are commonly used. Among them you will find green and blue turquoise, red coral, and white shell. You can find a lot more colors but what you want to remember is to choose a color that complements the Heishi beads. Style- You will most likely find Heishi beads either as earrings or as a necklace because of the general structure. That’s why it’s so important to choose outfits that conform to whichever style you choose. These should be the main feature of your outfit because they will have very rich and vibrant colors to them. Clothing- The clothing you pick should be simple and allow the Heishi piece to be the main feature. I would recommend a simple gray or black dress/blouse. You could also wear a nice patterned dress that uses all the colors for your necklace to get a really nice look as well. I got my Heishi necklace, here. You can find other styles on this site and I highly recommend that you do. Thanks for reading, until next time.